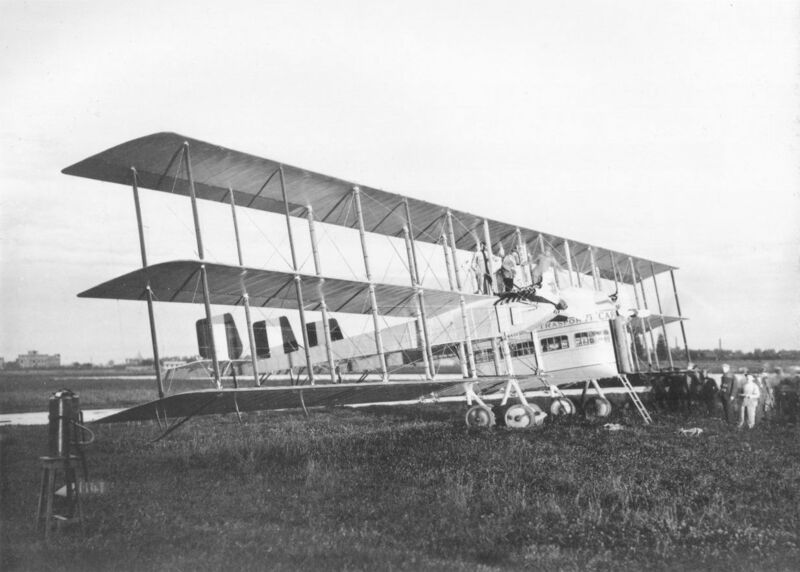 The Ca.4 series triplanes gave life to the Ca.48, 58 and 59, three and five engined giants with up to 2,000 hp installed which could seat 25-30 passengers. The intense promotional use - the Ca.48 flew as far as Holland - was not met by a comparable commercial success. Then disaster struck: on August 2, 1919 a Ca.48 fell near Verona killing the seventeen people on board, the great majority of which were aviation writers. This event sunk all hopes of rapid commercial airline development in Italy: in the wake of the disaster the government even dissolved the General Directorate of Aeronautics which had been formed within the Ministry of Maritime Transports, transferring its duties to the War Ministry’s Civil Aviation Office. The inquiry, carried out by medaglia d’oro holder Ercole Ercole, followed for the first time the method of reconstructing the entire airplane to establish the point and time of impact of every piece. It was thus determined that the disaster had been caused by a camera which, dropped by a passenger, had struck the central engine’s propeller and been projected against the empennage, severing it. The board’s findings were published too late to stave off a wave of diffidence towards bombers converted for airline duty. By late 1918 the Ca.4 triplane had already spawned a commercial derivative, later called Ca.48, with a 17 passenger cabin and 1200 hp of total engine output. This aircraft was demonstrated as far away as Holland. 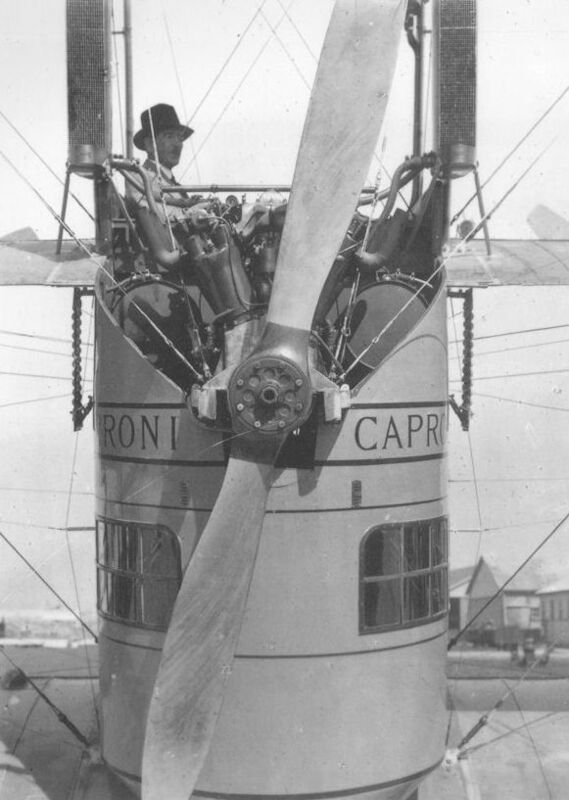 Caproni Triplane. - A close-up view of the cabin. This extends from the bottom to tne middle plane, and the passengers are enclosed, while the pilot is situated in a smaller cockpit on top of the cabin. 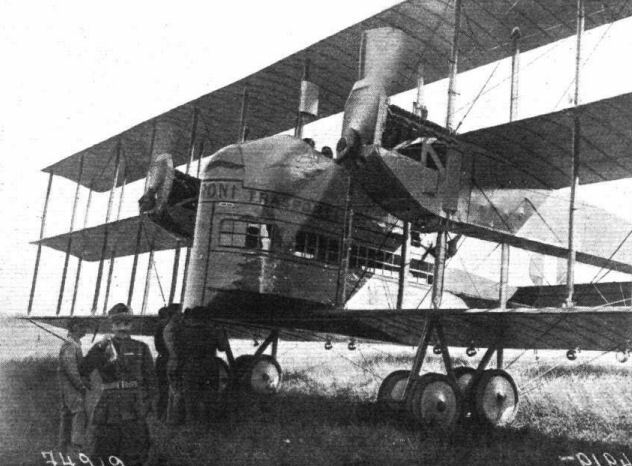 A CAPRONI PASSENGER TRIPLANE: This machine appears to be a peace-time development of the type CA 4 described in "Flight" of June 19, 1919. The two tractor engines are mounted in the nose of the twin fuselages, while the pusher engine is placed high in the stern of the central nacelle. A team of Ca.48 workers poses for a souvenir photo. An eloquent dimensional comparison of the Ca.48 and Ca.57 transports. To the right is Taliedo’s concrete runway, built for the great bombers and inspired by Roman road building techniques. 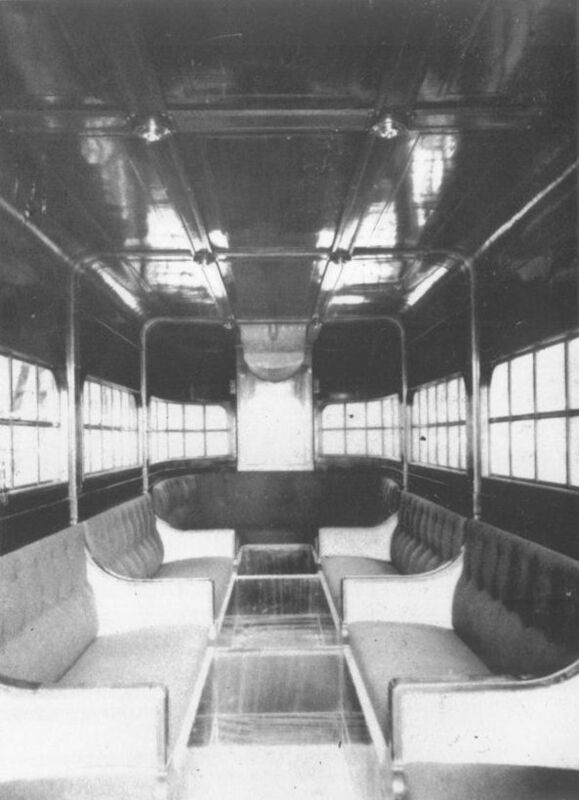 A rear view of the cabin of the Ca.48, sporting an immaculate finish. The open upper deck could seat both pilots and up to six passengers, one of whom clearly seen in the photo. The cabin’s interior is shown. The fine woods and velvet create the impression of a turn of the century luxury railroad car. The top engine’s position can be made out clearly on the ceiling at the back of the cabin.